Intelligence is often referred to as the ‘missing dimension’ when there is a failure to anticipate critical developments of a political and strategic nature. History is replete with many such instances. In recent times, renowned historians like Christopher Andrew have also talked of a lack of ‘theologians’ compounding this situation. Combined, these are seen as reasons for failing to anticipate many of the serious developments that took place during the late 20th and early 21st centuries. To this day, for instance, many still wonder how the West and its intelligence agencies failed to realise the dimensions of Iran’s religious revolution, leading to the establishment of a theocratic state under Ayatollah Khomeini. In retrospect, the Iranian Revolution was much larger than most previous secular uprisings, including the French Revolution. The generally accepted view, hence, is that intelligence agencies and policy-makers are usually unable to recognise the potential of movements about which they know little or understand even less. Intelligence analysts are better off when it comes to matters arising from more pedantic issues and events. For example, in the case of non-denominational terrorism, which has been around for a long time, intelligence is better placed to understand its dimensions than that of religious-oriented terrorism. Any number of instances can be cited, wherein agencies failed to understand the emerging dimensions of religious-oriented terrorism. Hardly any intelligence agency in the mid-20th century was able to comprehend the danger posed by the teachings of Islamist scholar, Sayyid Qutb. Few saw in what he said the seeds of all-embracing religious terrorism that would plague the world for years to come. Today, no doubt, it is possible to see the connection between Qutb’s views and the establishment of al-Qaeda, and how his teachings spawned an entire generation of Islamist terrorists. It was only after al-Qaeda carried out its spectacular attack on the World Trade Center in New York in 2001, that the world truly woke up to this reality. The failure or inability to piece together missing pieces of non-secular thought, leading to a lack of understanding of the expanding saga of revolutionary violence, mostly of the religious variety, constitutes one of the most spectacular failures of intelligence in modern times. Ethnic-oriented violence and terrorism is no less sanguinary in many instances, as the history of ‘peoples’ uprisings’ in different parts of the world confirms. Some of the better known struggles of recent times, such as that of the Kurds in West Asia, have attracted international attention. Many others, however, have had a more limited shelf life. Some are based on local grievances, and many are sponsored by outside forces anxious to create turbulence and disorder in another country. Hardly any of them, however, have the same broad sweep or appeal as religious-oriented terrorism, especially Islamist terrorism. This is not to say that they do not pose a threat, or that the danger they pose is any less. What is apparent as one surveys the global scene today is that the number and variety of terror groups is larger and more widespread than at any time previously. Ideology remains the main source of violent extremism. When intertwined with religious extremism, it becomes an even more potent mixture. Behavioural patterns contribute to escalation, from grievance redress to mobilisation, and on to violent extremism. Consequently, any premature celebrations of the so-called destruction of the Islamic State (IS) ‘Caliphate’ would be uncalled for. IS stormtroopers have moved from strongholds in Syria and Iraq to countries across Europe, Asia and Africa. Many regional franchises linking individual IS and al-Qaeda groups are already in the works. As the IS lost ground in Syria and Iraq, parts of Africa became the new battleground. More than a dozen African countries across two broad belts of Africa — from Somalia and Kenya in the east through Nigeria, Niger, Mali, Burkina Faso and Senegal in the west — are facing a wave of Islamist terrorism. During the past two years, unverified reports indicate the deaths of more than 10,000, and the battle continues in unrelenting fashion. Boko Haram, a one-time affiliate of the IS, has been even more sanguinary than the IS or al-Qaeda. Al-Shabab in Somalia, the Jama’at Nusrat al-Islam wal Muslimeen in Mali, and several others continue to thrive in parts of Africa. Afghanistan is the other main epicentre of radicalised Islamist terror. The years 2017 and 2018 have been particularly bad in terms of the number of terror attacks and casualties resulting from these attacks. In a single month in January this year, terrorists belonging to disparate terror organisations, including the IS, carried out four major terror attacks, killing over 160 people. In succeeding months, there have been several similar attacks, leading to the deaths of many more civilians and soldiers. Killings have been indiscriminate and a majority feature suicide bombers. Targets tend to be indiscriminate; in a recent suicide attack, the target was a convoy of Sikhs and Hindus on their way to meet the President of Afghanistan in Jalalabad city in which at least 19 persons were killed. Given the climate of violence, and the determination of radical groups to wage war, India cannot afford to be oblivious to what is happening around us. It cannot afford the luxury of amnesia, given the kind of terror threats that we faced in the past. Very recently, we have seen a manifest attempt by Sikh extremist groups residing in Canada and the U.S. to revive the demand for Khalistan and of self-determination for Sikhs. They have the backing of sections of the Sikh community in the U.K. as well. As a result, a fresh wave of Sikh radicalisation is beginning to be seen in quite a few Western nations. The August 12 pro-Khalistan rally in London, sponsored by a body styling itself as ‘Sikhs for Justice’ based in the U.S. has the backing of the U.K.-based Khalistan Sikh Federation and the Dal Khalsa. It is the clearest sign yet of the resurgence of pro-Khalistan sentiments. The August event has come in the wake of pro-Khalistani activists ripping off the Indian flag in Parliament Square, London during the Indian Prime Minister’s visit earlier this year. A revitalised movement for a separate Sikh state can cause problems within India, sooner rather than later. India is currently preoccupied with terror attacks from Pakistan, and the role of organisations such as the Jaish-e-Mohammed (JeM) and the Lashkar-e-Taiba (LeT) in sponsoring terror attacks from across the border. Notwithstanding this, India must not be oblivious to attacks from other radical Islamist sources. According to reports, both the IS and al-Qaeda are engaged in a fierce competition to enlarge their activities in India. There are also attempts being made to secure more recruits from India. The territorial demise of the IS in Syria and Iraq is likely to exacerbate insurgencies elsewhere, as was witnessed after the ‘Afghan Jihad’ in the 1980s and 1990s. Militants fleeing the ‘Caliphate’ could enlarge the ranks of those already present. As it is, there are reports from many nations in the West of stray attacks by returning IS recruits from the Syrian and Iraqi battlefields — in cities as far apart as London, Toronto and Paris. It is important to appreciate the fact that the strength of Islamist terror groups, and especially that of the IS, lies not only in their military capabilities but more in their ideology and propaganda. Jihad and martyrdom continue to influence young Muslims to join their fold. So-called polarisation and the plight of religious minorities present them opportunities as well as soft targets. The enduring message is that the ideological battle against religiously-oriented terror groups like the IS is far from over. No shortcuts are available as of now. Above all, India must realise that some of the world’s top 10 most wanted terrorists are located in its vicinity (the Haqqani brothers, LeT Chief Hafiz Saeed, JeM leader Masood Azhar and Zaki-ur Rehman Lakhvi). India, hence, cannot afford to be complacent. The rupee’s depreciation to more than 70 to a dollar just ahead of Independence Day led to historical comparisons of the value of the rupee. These can be misleading, as political freedom did not automatically result in India’s monetary independence in 1947. The rupee’s association with Britain was prolonged by factors beyond India’s control. On a sterling standard 1931 onwards, the rupee, linked to a depreciating currency, depreciated along with the sterling. Britain (and France) declared war on Germany in 1939. In preparation, India’s economy was geared up by the colonial government towards the war effort through imposition of controls. The first was the exchange control. Completely convertible into any currency until then, the rupee was made inconvertible. Transferring money outside the sterling area required permission under rules that were laid down in London. The maze of controls grew as the war went on. Dollar securities held by private individuals were compulsorily acquired, and compensation was in rupees at the market price on an arbitrary date, resulting in losses to many. The Bank of England (BoE) sold the securities so acquired, adding the dollars to its coffers. Dollars for the war were also raised by selling silver bullion from India’s reserves to governments outside the sterling area. Dollars could be spent on imports of essential consumables, not capital goods. What was essential was defined by the war requirements until 1946, when civilian requirements were included. The restrictions on capital goods imports continued because the BoE had blocked what were called India’s sterling balances. By the end of World War II, India had accumulated a sizeable sterling balance of £1,300 million — India’s earnings in foreign currency on its exports for the war, deposited in the BoE in the form of sterling to the credit of the Reserve Bank of India (RBI) account. The balance had grown with import controls limiting forex outflows. The corresponding increase in rupee circulation stoked war inflation in India. After the war ended, the transfer of the sterling balances was negotiated between India and Britain. (After Partition, Pakistan joined the talks.) India’s key negotiator, B.K. Nehru, has described the protracted settlement in his memoirs. Winston Churchill had been threatening to write off the sterling balances. In the first round of negotiations, in 1946, by which time Churchill was out of power, the British delegation sought a considerable scaling-down of the sterling balances. India sought word that the sterling — that had become much overvalued — would not be devalued. The visitors refused. The sterling to them was still the premium currency against which other currencies were valued. The next sterling balances negotiations were held in London in July 1947 against the backdrop of the Government of India having been thrown into chaos by the advancement of the date Independence/Partition to August 15, 1947, from June 30, 1948. After August 15, India and Pakistan would have had no forex other than the sterling balances to pay for imports. The urgency of reaching an agreement increased. The impossibility of a write-off was accepted. But limits were placed on their use by the two countries — as unrestricted spending would have run the British balance of payments, and consequently its economy, to the ground. Under this interim agreement, India could spend from the balances in dollars, as Britain had agreed to make the pound convertible under the terms of a loan from the U.S. But Britain soon repudiated the convertibility clause, in turn altering the character of the agreement entered into with India. Pound convertibility was ruled out by the sorry state of British production after the war years. Pent-up demand for consumer goods could only be met with imports from the U.S. Pound convertibility would have exhausted British forex reserves. The Indian side, led by Finance Minister John Mathai, agreed to two types of deductions from the sterling balances. First, towards the pensions of former British members of the ICS. Second, the value of military equipment, regardless of the condition and worth, the British forces had left behind. The subtractions added to £100 million. Limits were placed on how much could be drawn in a given period from the balances. At the talks, the British side gave credible warnings of an imminent sterling devaluation. India failed to capitalise on them. The telegram, ‘For (Jawaharlal) Nehru from Attlee’, received on September 21, 1949, announcing a devaluation from $4.03 to the pound to $2.8 to the pound, took India completely by surprise. It effectively wrote off a third of the sterling balances. B.K. Nehru noted that Churchill’s threat was partially achieved by Stafford Cripps, then Chancellor of the Exchequer. 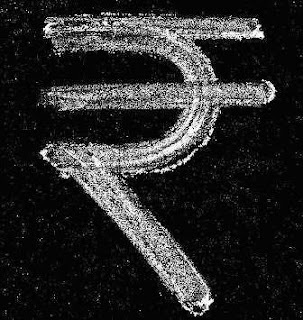 India devalued the rupee proportionally: from ₹3.309 to a dollar to ₹4.762. The sterling was floated against the major international currencies in the early 1970s, the rupee as late as 1993-1994. The two currencies were delinked in 1975. In 2014, Prime Minister Narendra Modi pledged to clean the “filthiness all around us”, which, according to him, is an obstacle for promoting the tourism that offers jobs to the poorest of the poor. Mr. Modi announced his government’s resolve to accomplish the vision of a clean India by 2019, on the 150th birth anniversary of Gandhi. Swachh Bharat Abhiyan (SBA) was an unprecedented nationwide initiative aimed to inspire the public to voluntarily clean public spaces as a service to the nation. The campaign initially highlighted images of celebrities “voluntarily” sweeping the streets, in protective gear. Circulated by a pliable commercial media, these images trended on social media. Concurrently, municipalities began to employ more contractual labourers — mostly scavengers forced into the profession by their caste — to remove waste. This approach is an uncritical adoption of the 19th century Western model of removing waste from the public gaze. Although stopping the spread of disease was the primary intention in the West, sanitation is now largely an extension of visual aesthetics — sanitation means the absence of “filthiness all around us”. The West introduced technologies to systematically remove waste. For example, when Londoners experienced the ‘Great Stink’ in 1858, the government realised that it would need a holistic sewerage plan, which would become part of the London water infrastructure, to remove filth and treat waste from the river Thames in a sustainable way. Soon, the construction of toilets in households and shops became mandatory. The Swachh Bharat campaign hardly addresses a reworking of the underground sewerage system. This is a cause for grave concern, since many labourers have died recently while cleaning jammed manholes that open into the sewerage system. Most disturbingly, these deaths have a caste pattern. According to a reply by the Ministry of Social Justice and Empowerment to the Lok Sabha in December 2017, over 300 cases of deaths due to manual scavenging, mostly from particular caste groups, were reported that year. Punitive measures should exhort the public to learn where and how one should urinate, defecate and dispose of garbage. The campaign, however, burdens the contractual labourer with an ‘exclusive’ right to cleaning public spaces, while making it a voluntary act for the ‘public’ to not defecate, urinate or litter in random spaces. In India, waste carries the stigma that is attached to pollution and caste, as does the process of removal (‘scavenging’), and the occupation (‘scavenger’). The waste remover in India is not a professional, like in the West. Also stigmatised are the spaces in which the removal takes place and where the waste is disposed. All of these are considered to be contaminated by caste pollution. In short, stigma resides in the profession, the labour, the body, and in the space. In the past, municipalities erected bins in common places for shops and households to dispose of waste. These bins were the first to be removed, as the mission offered door-to-door collection. Workers are now expected to whistle to announce their presence upon arrival in their designated areas. Thereafter, members from the households bring unsegregated garbage, workers collect those in a sack, and store garbage in a designated place from where it is taken to the composting yard. The workers, as per the campaign, have to go to the yard to segregate the waste. Manually segregating the waste at the landfill compromises their hygiene and health. The door-to-door service has darker undertones. Until they were banned in 1993, dry latrines were emptied through a similar door-to-door service. On arrival, the municipal servant would blow a whistle and the respective houses would move away from their toilet bowl or pots, which she would come to empty through an exclusive entrance. The whistle does not merely announce the presence of the worker; it also announces the presence of a lower caste body from whom all contact has to be avoided. The contemporary whistle echoes older practices, where members of the lower castes had to whistle, ululate, etc., while walking in public spaces in order to warn caste Hindus from crossing their paths. As much as the waste itself, it is the presence of the body of the ‘scavenger’ which is seen as polluting by the larger public. This notion has a spatial correlate — toilets are usually built away from living spaces; this is the case even today. In Agraharams (exclusive Brahmin quarters), and even in some non-Brahmin households, for example, toilets are constructed behind the house so that the scavenger is ‘unseeable’ while walking down an ‘exclusive’ lane to the toilet to empty the bucket. Similarly, traditional Indian houses had toilets that were often located at the boundary of the compound with an exclusive path for the ‘scavengers’. Clearly, Hindu notions of pollution on the one hand, and secular notions of stigma on the other, influenced the building of toilets. This particular trait reflected in colonial architecture as well. The Indian Institute of Advanced Study in Shimla, which was formerly called the Viceregal Lodge, has three entrances: one for residents and guests, one for servants, and one exclusively for sweepers and scavengers. The sweepers’ pathways — which form an invisible and intricate network of corridors, stairwells and gangplanks leading to the many toilets in the building — have now been closed off. Significantly, in colonial Indian architecture, the scavengers’/sweepers’ staircase did not intersect with the servants’ staircase. The original planning document of the Viceregal Lodge has clear references to this secluded pathway. It is significant that ‘toilets’ are not viewed as essential parts of buildings and public architecture in India. For instance, the Delhi Metro did not include toilets in all the stations in its original plan. It was only after a PIL that the Delhi High Court directed the Metro authorities to construct toilets and provide other facilities in all stations. This ‘oversight’ is only compounded by the location of the toilets. For instance, temples usually did not construct toilets. And when they are constructed, they are built away from the boundary. 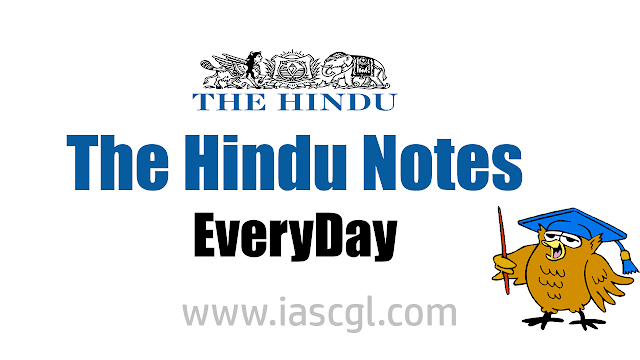 Similarities between the secular SBA and the casteist form of manual scavenging are evident, but they have gone unnoticed. The secular sounding Swachh Bharat offers nothing but concealment of caste. The SBA enables a disjunction between the cleaning and disposing of waste, where the cleaning is a voluntary ‘service’ which caste Hindus are called upon to undertake, while collecting and disposing waste is a ‘duty’ relegated to municipal workers from particular castes. Any tangible achievement of a clean India is possible only if the stigma attached to sanitary labour, place and waste are critically addressed by caste-neutralising these professions and through adoption of technologies. Until then we are unlikely to succeed in any mission to keep our cities clean. Even if we succeed in putting up a façade of cleanliness, we need to remember that a clean village exists because an ‘unclean’ caste has absorbed all the ‘filth’ of the village. Climate change has the potential to disrupt and reshape lives. There are several alarming predictions about its impact. The UN Sustainable Goals Report, 2018 notes that climate change is among the key factors in rising hunger and human displacement. The World Health Organisation estimates that climate change will cause an additional 250,000 deaths per year between 2030 and 2050, due to malnutrition, malaria, diarrhoea and heat stress. Undoubtedly, much of this loss will be accounted for by low-income groups in developing nations, including India. The World Bank projects that climate change could cost India 2.8% of its GDP, and diminish living standards for nearly half the country’s population, in the next 30-odd years. These bleak scenarios raise questions. Do those most at risk know about climate change? Is there sufficient awareness about its causes, especially about anthropogenic contributions? Do vulnerable groups know the manifestations of climate change, and are they aware that it could potentially affect the health, livelihoods and lives of their families and communities, of present and future generations? Several initiatives have been implemented to create awareness about climate change — about how to mitigate it and adapt to it. In 1991, the Supreme Court directed the Central government and all State governments to provide compulsory environmental education to all students in schools and colleges. This directive was reiterated in 2003 (M.C Mehta v. Union of India). Corporate organisations, research and education institutes, NGOs and foundations have committed themselves to educating people about climate change and providing the know-how for mitigation, adaptation and resilience building. These initiatives target urban and rural populations including schoolgoing children. Their thrust ranges from inculcating the concept of environmental sustainability to driving home the impact of climate change on food, water, nutrition and health. However, despite these efforts, and the reach of the court’s order, climate change seems to find low salience in everyday lives and conversations. Most of the country’s plans for vulnerable populations are directed towards poverty alleviation, improving living standards, enhancing access to education, sanitation, healthcare and ensuring human rights. Climate change finds little mention. It must receive greater prominence because the lives of a large number of the population is at risk. It is important that they know how to address and minimise the risks they face. So, what more can be done? At present, climate change does not find specific mention in Schedule VII of the Companies Act, 2013. However, if it were to be articulated and specified as an activity for corporate social responsibility (CSR), rather than be implied in the umbrella term of environmental sustainability, organisations may be encouraged to view it with increased importance and clarity and lend more weight to creating awareness, mitigation and resilience-building. Schedule VII would then need to be amended from “ensuring environmental sustainability, ecological balance, protection of flora and fauna, animal welfare, agroforestry, conservation of natural resources and maintaining quality of soil, air and water” to include climate change as an area for investment. Scaling up current initiatives of the corporate and social sectors to regional or national levels would be an early, albeit challenging, solution. Efforts on this front could be facilitated and amplified by companies’ CSR activities. The National CSR Data Portal reports corporate spends on environment, animal welfare and conservation of resources to be ₹801 crore in 2014-15 and ₹912 crore in 2015-16. Clearly, business organisations are willing to invest their money in issues related to the environment. Similarly, the film industry could consider ways to incorporate key aspects of climate change in films, writers could introduce climate change in adult and children’s literature, and gaming companies could develop games on this theme. Given the startling forecasts about the impact of climate change, it is the need of the hour to educate and equip both rural and urban communities to build resilience against natural disasters, adapt to environmental changes, and manage potential risk. Why rename old roads and stations when new ones are waiting to be named? To rename the 150-year-old Mughalsarai railway station in Uttar Pradesh after Rashtriya Swayamsevak Sangh ideologue Deen Dayal Upadhyaya, who was mysteriously found dead on the railway track close to the station in 1968, doesn’t make much sense if the objective is to systematically erase Mughal history. Islamic and Hindu cultures mingled in India for centuries, leaving a plethora of shared or overlapping nomenclature — too many to wipe out. How far do we go back in history and what do we choose to excise? Yet this prominent example is but one in a long list of stations, roads and other venues that are slowly and steadily being renamed. Are we witnessing a movement that seeks to rewrite or erase parts of history? Some seek to justify this process and draw parallels to movements in other countries, such as the movement against Confederate monuments and memorials in the U.S., or the movement to bring down the Cecil Rhodes statue in Oxford in the U.K. But these are not the same. In the U.S., fierce debates continue to rage over allowing Confederate statues — symbols of the country’s dark history of slavery and white supremacy — to stand, and parks bearing the names of Confederate leaders have been renamed Justice Park and Emancipation Park. The net impact has been to bring a measure of solace or closure to those who suffered racist attacks. And in the U.K., students have led protests to bring down the statute of Cecil Rhodes, the British-origin Prime Minister of Cape Colony who espoused racist views, yet left behind a generous and lasting corpus of funds in higher education. This hints at a broader social realisation of the legacy of colonialist racism. The clamour for renaming roads is also unlike the movement to erase the names of British rulers from the roads of Delhi. Colonialism differed from Mughal rule in that the British government’s motives were resource extraction and strategic control. Thus, an argument could be made for relabelling roads named Chelmsford, Curzon, and Connaught after Indian leaders. However, isn’t India’s Mughal legacy an indispensable part of its history, culture and cuisine? There are always new roads and railway stations waiting to be named after Indian leaders. So, why attempt to wish away history?